IS your current communication Address linked to PAN ? You are here: Home / Financial Planning / IS your communication Address linked to PAN (Permanent Account No) up-to-date? Most of us might have applied for PAN card few years back and there might be change in our communication address. To check the address that is linked to your PAN card, visit Income Tax website . You should have login Id to access the info. Income Tax department uses this address for communicating with the Tax payer for Tax refunds etc/., Hence it is important to maintain your communication address up-to-date. Last month I have applied for PAN card,22 days have passed but still i didn’t get the PAN card so what should i do..?? And how could I check my communication address which i mentioned in the 49A form, to just being sure that my communication address is registered properly or not. Kindly track your PAN card application status @ click here..
Dear umesh ..You can login to IT E-Filing portal, click on ‘Profile Settings’ and then select ‘My Profile’ option. The address that is linked to your PAN is displayed under the option ‘PAN Details’. Kindly note that this non-editable online and the IT dept sends notices (if any) to this address only. 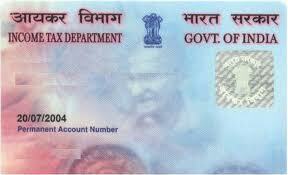 Is it possible that I can change my name and address in PAN Card ? Yes it is possible but you need to submit the relevant documents as proofs so that your request will be accepted and processed.Kindly click here to know more details..